This article first appeared on The Daily Beast. The past decade has seen a gusher of books arguing for and detailing the supposed ascendancy of dense urban cores, like the inimitable Edward Glaeser’s influential Triumph of the City: How Our Greatest Invention Makes Us Richer, Smarter, Greener, Healthier, and Happier, and about the ‘burbs as the slums of the future, abandoned by businesses and young people, like Leigh Gallagher’s The Death of Suburbia: Where the American Dream Is Moving. Even when Levittown was being built 70 years ago, there has always been a portion of the population — particularly the young, well-educated, affluent and often childless — that craves the density and excitement of downtown (CBD) life. But this group — heavy with members of the media — consequently attracts vastly outsized attention. 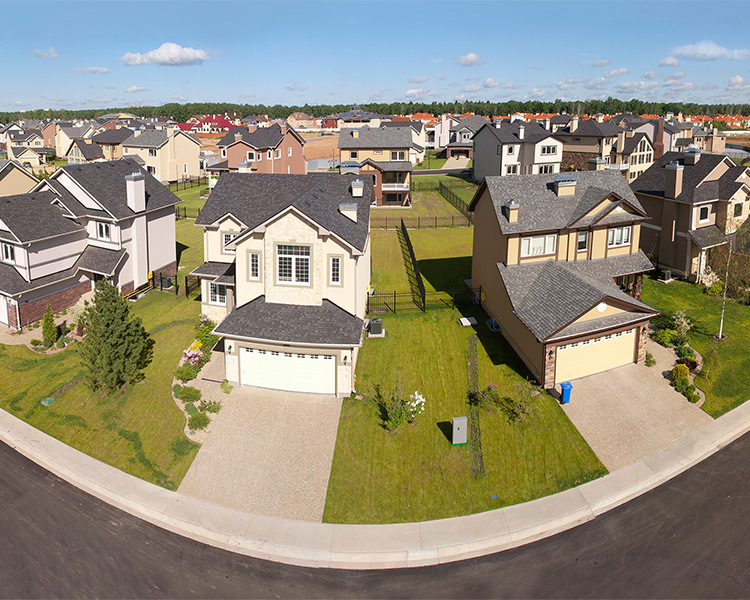 In fact, 151 million people live in America’s suburbs and exurbs, more than six times the 25 million people who live in the urban cores (defined as CBDs with employment density of 20,000+ people per square mile, or places with a population density of 7,500+ people per square mile—the urban norm before the advent of the automobile) of the 53 metropolitan areas with populations over one million. In fact, ten of those 53 metropolitan areas (including Charlotte, Orlando, Phoenix and San Antonio) have no urban core at all by this measure, according to demographer Wendell Cox. The New York City metropolitan area is America’s only one where more people live in the urban core than in the suburbs — and it’s about an even split there. In the last decade, about 90% of U.S. population growth has been in suburbs and exurbs, with CBDs accounting for .8% of growth and the entire urban corps for roughly 10%. In this span, population growth of some of the most alluring core cities — New York, Chicago, Philadelphia — has declined considerably. Manhattan and Brooklyn, have both seen their rate of growth decline by more than 85% since 2011. Nationally, core counties lost over 300,000 net domestic migrants In 2016 (with immigrants replacing some some of those departees), while their suburbs gained nearly 250,000. Three key groups — seniors, minorities and millennials — all prefer the suburbs. Despite much talk about seniors moving “back to the city,” the Census numbers suggest the opposite. Since 2010, the senior population in core cities has gone up by 621,000 — compared to 2.6 million in the suburbs. The share of seniors in both the inner core and older suburbs (those built before 1980) dropped between 2000 and 2010, while it’s grown substantially in newer suburbs and exurbs. A recent survey by Pulte Homes found that most boomers are seeking places near nature and with large garages; not exactly what you are likely to find, much less afford, in San Francisco. The “back to the city” phenomena, like many urban trends, is largely restricted to the wealthy. Minorities, too, have headed for suburbia. Already the majority of African-Americans in the nation’s one hundred largest metros live in the suburbs; in 1990, 57 percent lived in inner cities. Since 2000, reports Brookings, the percentage of immigrants living in suburbs has shot up five points, to 61 percent. Overall,76 percent of the growth in the foreign-born population between 2000 and 2013 in the largest metro areas occurred in the suburbs. But the most significant shift relates to Millennials. Roughly two-thirds of them, according to a recent Wall Street Journal survey, want a suburban experience for their future families. Census data, as analyzed by the website 538, shows that not only are people aged 25 to 29 about 25% more likely to move to a suburb than city, but that 30 to 44 year olds are leaving cities for suburbs at a much faster clip than they did in the 1990s. The National Association of Realtors sees the same trend, with young buyers shifting to suburban locations. Some of this reflects the consequence of success in some cities, expressed in soaring prices, but much of the change is fundamentally about growing up. Research by economist Jed Kolko shows that urban residence continues to drop precipitously with age. This also comports with the findings of surveys from the Conference Board, the Urban Land Institute, and the National Association of Homebuilders, which found that 75% of millennials favor settling in a suburban house, but only 10% in the urban core. This process will accelerate as millennials begin, albeit often later than previous generations, to start families. Some 1.3 million millennial women gave birth for the first time in 2015, raising the total number of U.S. women in this generation who have become mothers to more than 16 million. Given the population numbers, much of the argument for cities boils down to the idea that dense, vibrant urban cores are by nature far more productive than their suburban counterparts. Again, the economic numbers tell a different tale. Less than 20 percent of the jobs in metropolitan America are in CBDs and inner rings — a share that’s held steady since 2010. Nor is tech becoming more urban. With the exception of San Francisco (now the Silicon Valley’s urban annex, with young employees bused out from the urban core to suburban campuses) and to some extent Seattle (although much of the tech workforce there lives in the surrounding suburbs), the most rapid expansion of tech has been in suburban areas, including in sunbelt cities like Charlotte, Raleigh and Austin. Urban theorist Richard Florida estimates that three-quarters of patents come from areas with 3,500 of fewer people per square mile—less than half of the density associated with urban cores. The financial elites in Manhattan or the tech billionaires in San Francisco may be more conspicuous, but when the Center for Demographics and Policy at Chapman University surveyed professionals earlier this year, we found that most young and middle aged professionals are more focused on family lifestyle issues like good schools, open space and affordability than on cultural amenities and nightlife. A few years ago, The Wall Street Journal published an article with the headline “City vs. Country: Who Is Healthier?” It neglected to mention that it appears that suburbs are healthier than either. In research supported by the County Health Rankings and Roadmaps Program, a joint program of the Robert Wood Johnson Foundation and the University of Wisconsin Population Health Institute, suburbs topped both urban and rural areas in ten of twenty-nine factors that influence health, and had residents who generally enjoyed a better health-related quality of life. Dense urban living has been linked to many new diseases (including psychosis, cancer, and cardiovascular disease) over the past decade, and new research contradicts the old narrative some architectural and urbanists are still spreading about the supposed healthiness of city living. Research shows that proximity and exposure to parks and outside spaces is linked to better health outcomes and life expectancy — and that the best place for most people to have this is in suburbia, given how difficult and expensive it would be to dramatically expand park spaces in densely populated cities. The mass movement that environmentalism became in the United States arose mainly in suburbs. As historian Chris Sellers details in Infinite Suburbia, The Nature Conservancy was an invention of the suburban East Coast. The fight against pollution—the single-most critical issue for US environmentalists by the late 1960s—was largely led and supported by suburbanites.The environmental political project defended a nature that was not remote, pristine, or “out there”, but an immediate and suburbanized nature. As American families and business continue to vote with their lives and dollars for the suburbs, the only way to stop suburban growth is “forcefully,” as The Economist recently put it and as the political class is attempting to do in increasingly feudalized California. Yet to kill suburbs — or try and convert them into high density cities — is to stomp on the aspirations of middle class families, immigrants, minorities and seniors. It is not, to say the least, a long-term winning political formula. The challenge today remains making great suburbs to fulfill the potential of full urban life. The suburbs — where most Americans experience urban life — deserve not the disdain of planners and politicians and pundits, but their full respect and attention. Alan Berger is Professor of Landscape Architecture and Urban Design at Massachusetts Institute of Technology where he teaches courses open to the entire student body. He is founding director of P-REX lab, at MIT, a research lab focused on environmental problems caused by urbanization, including the design, remediation, and reuse of waste landscapes worldwide. He is also Co-Director of Norman B. Leventhal Center for Advanced Urbanism at MIT (LCAU). Radicalism is on the Rise in American Politics Eric Garcetti for president? Really?